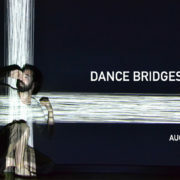 Stepping into its second edition, the biennial Dance Bridges Festival under the aegis of Vanessa Maria Mirza, director, and Dam Van Huynh, associate director, brought together over 70 artistes from 17 countries as they deftly continued with their objective of building a cultural bridge between local and international communities. The festival titled New Panoramas: In You I See My Dance, held from August 22 to 29 across five locations comprising contemporary dance performances, dance installations, workshops and film-screenings, presented a unique opportunity to the people of Calcutta to discover international artistes who, for most of them, were performing in India for the first time. The inaugural evening kicked off at the ICCR sculpture court on August 22 with Il Castrata by Beatriz Madrid from Foramen M Ballet (Mexico). The striking performance of a young woman strapped to the floor, desperately trying to escape the trap she had fallen into, was choreographed to play on emotions of endurance, struggle and triumph. A couple of dancers burst into the space later, constantly pushing, pulling and lifting each other in some sort of unresolved dispute with a choreographic language as they performed A Draft by Dam Van Huynh (UK). Amarcord by Lin Yu-Ju (Taiwan) took the audience on a gentle journey of a couple, filled with tenderness, memories and mutual rediscovery. This was followed by Bea Debrabant (France) performing a striking solo called Esperanza. The evening ended with Make the Switch from Me by Birute Letukaite from Aura Dance Theatre (Lithuania). As the lights went out, the audience still seemed enraptured by the evening they had just experienced. The second performance evening on August 24 at GD Birla Sabhagar started with the quirky and comic duet The Empty Room by Ido Tadmor (Israel), depicting the joys and struggles of a couple in their relationship. Then taking centre stage was Diya Naidu (Bangalore) with Red Dress Waali Ladki, boldly addressing the serious issues encountered by women in India. Lidy performed by Marcos Rossi from Foramen M Ballet was an intimate piece that began with the dancers exploring each other in silence as if walking on a tight rope, constantly shifting balance. This silent work had a meditative aspect, creating an interesting contrast to the hyperactive sound-scape of the city. The audience then encountered the fiery duet performers Ieva Navickaite and Tommaso Petrolo performing Under This Weight by Dam Van Huynh and Marcos Rossi performing Gestoanimal. Surjit Nongmeikapam (Manipur) closed the evening with his installation — The Dance Without a Name. Crawling along a ray of light, rolling out paper and spreading salt and sand all over the floor, the performer used various mediums to bring the audience into a different realm, inviting them to let go and enjoy the visual and aural experience. 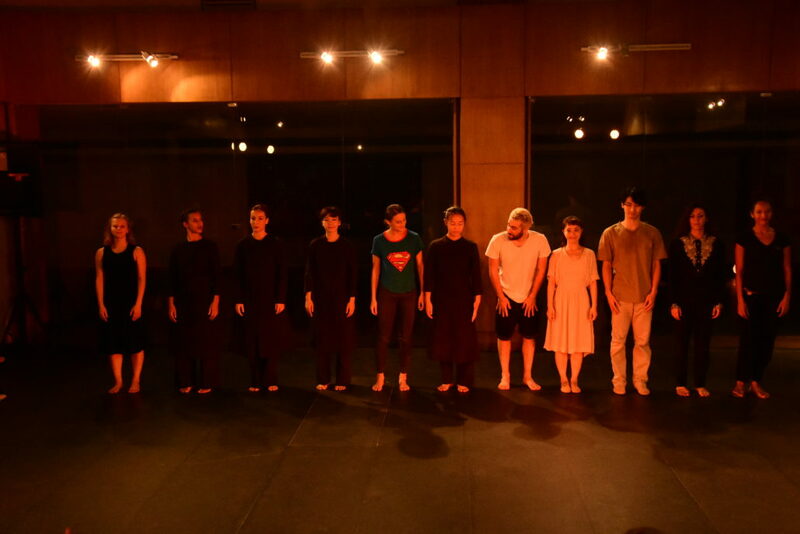 The third evening, also at GD Birla Sabhagar, on August 25 began with 12 dancers from the National Youth Dance Company (Scotland) performing Maelstrom by Anna Kenrick — a piece bursting with energy and humour. Disco by Teita Iwabuchi (Japan) had the vibes of a night out in town through the use of loud music and strobe lights. Just after this came the ‘Crossover Project’ with a powerful piece — Under This Weight by Dam Van Huynh — made in Calcutta during the festival involving Indian and international artistes that showed 10 performers often dancing in unison and reaching a point of continuous free fall that felt as if the floor had given way and there was no other choice but to fall. Tien Hsiao-Tzu (Taiwan) entered the space covered with cloth from head to toe, with the fitted cloth stretching as the dancer moved and performed a piece titled Stem. The evening ended with a performance by the strong female cast of Aura Dance Theatre, delivering a tight work perfectly timed as they performed Godos by Anne Ekenes and Pia Holden. The audience was then gathered into the same room where Alfredo Miralles (Spain) performed The Augmented Body, a highly poetic performance using real-time interaction with digital projections. The audience was also invited to come out into the garden, where artistes from the National Youth Dance Company welcomed them with Yael Flexer’s Re-place. The dancers braved the mud in the garden as they danced their heart out. “It’s been brilliant to see everything come together so well. This time we’ve worked quite differently, having an international open call to artistes and working with a team based in London, Taipei and Calcutta,” said Vanessa. 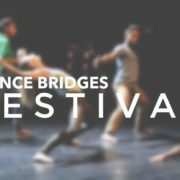 Apart from the performances, Dance Bridges Festival partnered with Nandan to screen short films like Atomos by Wayne McGregor and Mr. Gaga by Tomer Heymann, beside conducting workshops for local artistes.